The barn at Spencer-Peirce-Little Farm in Newbury, Massachusetts, isn’t just for storage. It’s a gathering place that hosts everything from school programs to farm-to-table dinners. 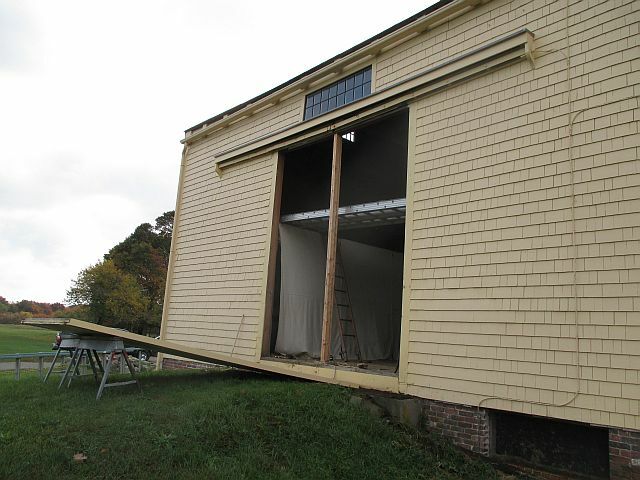 Recently, the Historic New England carpentry crew replaced a door header in the barn. This project completed a campaign of major repairs that began in 2010. The header supports the weight of a pair of sliding doors on the barn’s north elevation. It was previously repaired in the 1970s, but deterioration spread over the ensuing decades. The header sagged and made the sliding doors very difficult to operate. 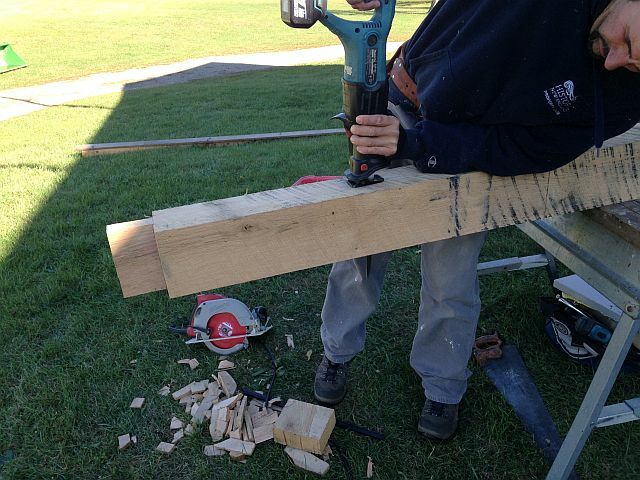 Historic New England purchased a piece of native white oak from a local sawmill and shaped it to fit the door frame. 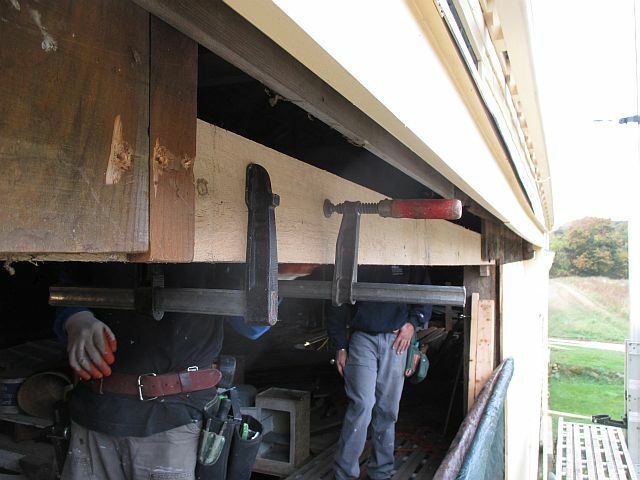 After restoring the structural integrity of the frame, our carpentry crew re-hung the doors on a new track and restored them to good, smooth function. A view of the completed doors. Carpenters removed the doors to access the area in need of repair. Note the temporary post supporting the damaged header. Carpenter David Maloney fabricates the new header, which was made and installed as two pieces, then bolted together in place. 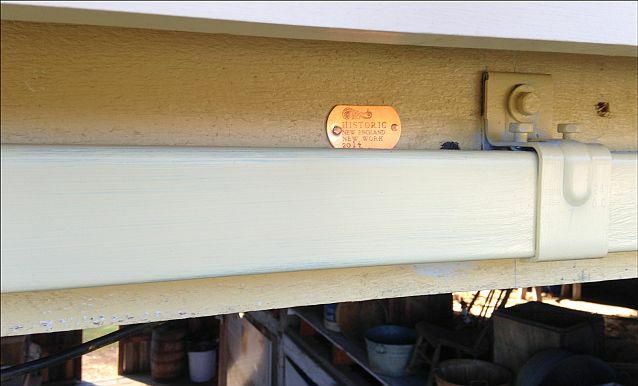 All new material is tagged and dated to keep the record of repair clear for future preservationists. 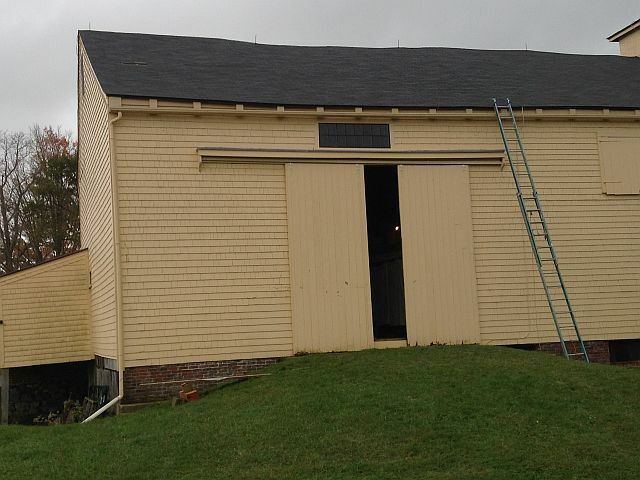 Now the doors can be opened and closed easily, making the barn more accessible and comfortable for the many visitors who attend school programs, weddings, and other events. Historic New England’s buildings serve their communities in many ways. Help us continue to preserve them for public use with a gift to the PreservationMaintenance Fund.